Piper Alderman has announced the appointment of a new partner, who joins the firm’s national dispute resolution team. Piper Alderman has poached Nick Burkett (pictured) from Lexon Insurance. Prior to this, he was a partner at Ebsworth & Ebsworth. 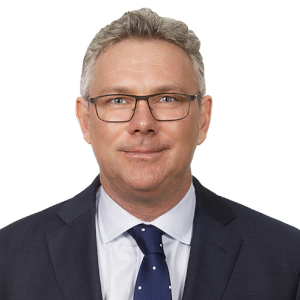 Mr Burkett’s new role will see him based in the firm’s Brisbane office. His experience spans a broad range of litigation and alternative dispute resolution processes across various state and federal courts and tribunals. Throughout his career, Mr Burkett has acted for clients in both the aviation and insurance sectors. He has advised many of the major airlines and their insurers across a range of issues. Piper Alderman managing partner Tony Britten-Jones said he was delighted to welcome Mr Burkett to the firm. “Nick brings with him valuable expertise and enhances the firm’s commitment to be the litigation firm of choice. He is a highly respected lawyer and is widely known for his strategic thinking, tenacity and commerciality,” Mr Britten-Jones said. “Our national dispute resolution team has once again experienced year-on-year growth, both in terms of revenue and new clients. Nick’s appointment will ensure that our growing Brisbane office is positioned to seize all new opportunities. “2016, and now 2017, has been a year of significant growth for [our] national dispute resolution team. We have welcomed six new dispute resolution partners to the firm: Jane Kupsch (Melbourne), Florian Ammer (Sydney), Michael Bacina (Sydney), Thomas Russell (Sydney), Mike Hayes (Adelaide) and now Nick Burkett (Brisbane). Commenting on his decision to join Piper Alderman, Mr Burkett said: “I am delighted to be joining such a dynamic, collaborative and enthusiastic partnership”. “Piper Alderman’s dispute resolution team is widely known for its national depth of experience acting on complex and market-leading matters. I am excited about the next stage in my career,” he said.